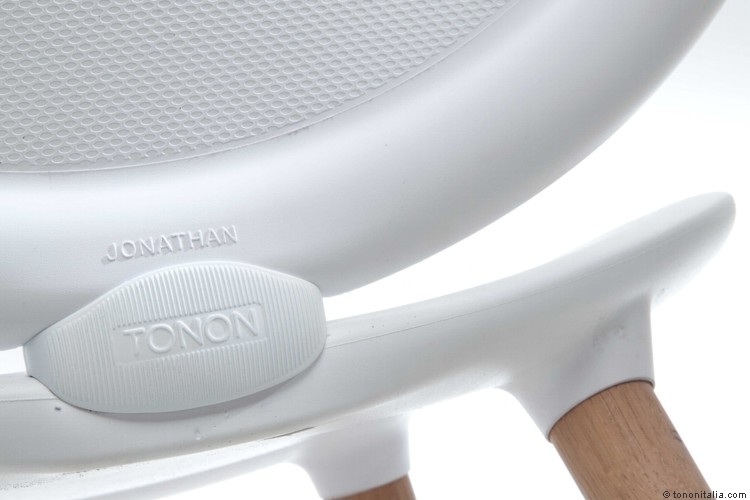 Jonathan 30 is the new version of the Jonathan model designed by Paolo Nava 30 years ago. The two ovals are made of a self supporting frame padded with coloured integral foam and are linked with a die-cast aluminium joint. 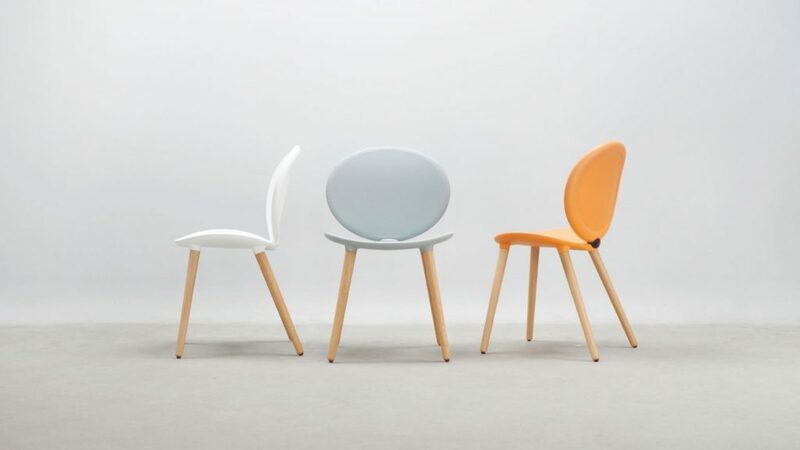 The organic shapes of seat and back fit perfectly the body and the integral foam transmits a pleasant sensation of softness giving the utmost comfort to the seat. The shell is supplied in 13 different colours. 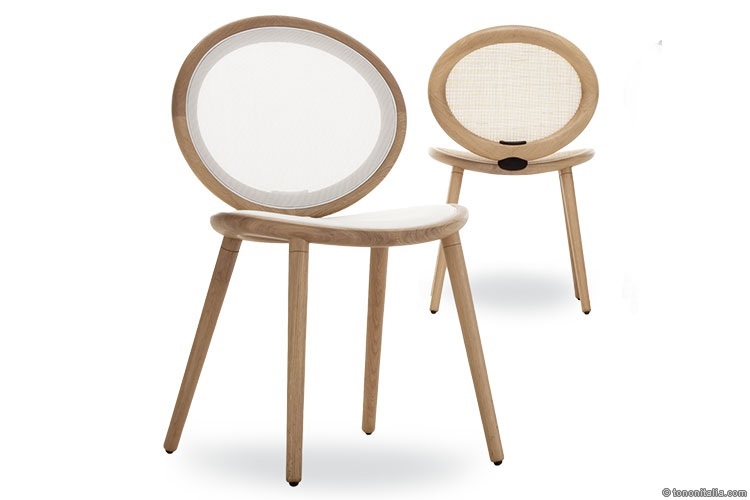 The elegant 4-leg base in solid wood is available in American walnut or European oak. 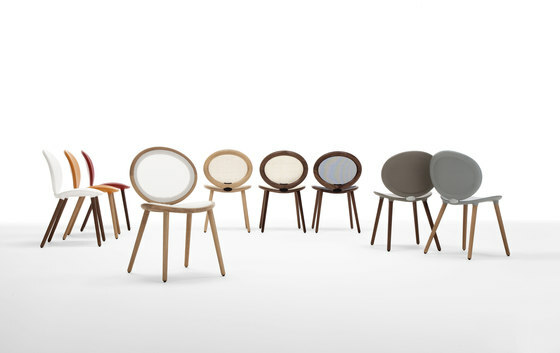 004.01 Soft touch seat and back with legs available in American Walnut or European Oak. 004.11 Solid Oak or Black Walnut frame with Black or White mesh seat and back. 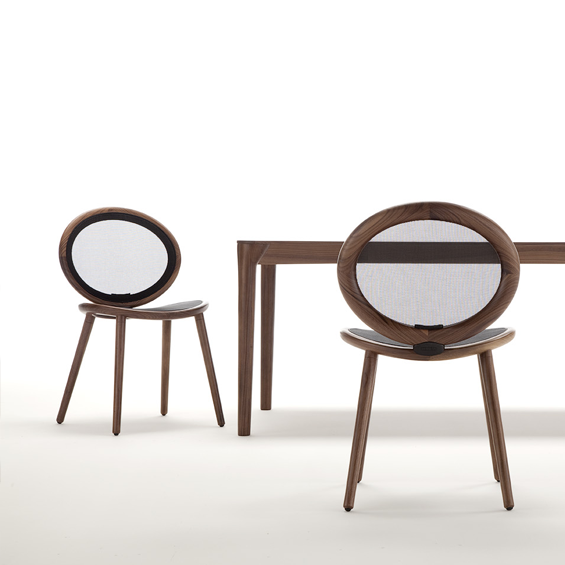 004.25 Solid Oak or Black Walnut frame with mesh back nad leather padded seat.